I'm your company's computer guy. Specializing as a Network Engineer. I got my training in the Air Force as a secondary squadron duty. As a flight engineer there was a lot of down time. In that down time learned as much about technology as I could. I was lucky enough to turn that into a profession when I got out of the military. My real passion is flying. Any way, shape, or form. I love everything about it. November 2009 I took my first lesson. 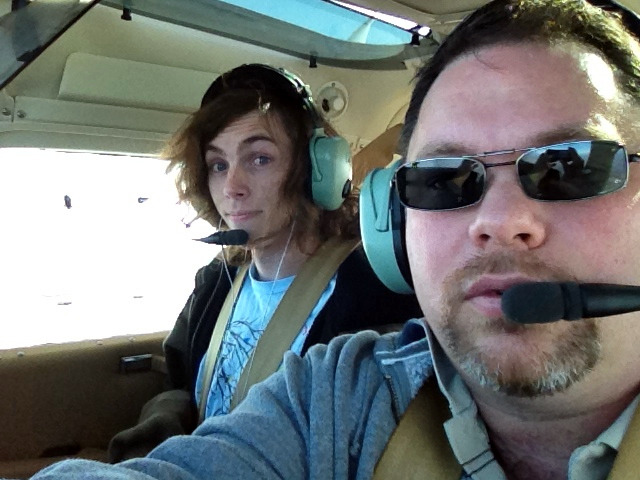 5 months and 43 hours later I had my private pilot license. I don't get to fly as much as I'd like, but I think about it daily. I purchased a share of a Cessna 182 in 2010 and have been living my dream ever since.